Unemployment research paper targeting at a certain audienceEmployment is one of the major forces that brings on the economic growth of each country, along with areas like agriculture, population, and industrialization. In addition to this, unemployment rates indicate the degree of the economic health of a country. That being said, it is crucially important to study the reasoning, causes and effects of the phenomenon of unemployment in regards to economy, social issues, and individual lives of every person. Every student can do that by working on an essay about unemployment. Because if we can alleviate the factors that lead to unemployment and increase it, then we may talk about the economic growth and therefore, the greater percentage of people who can afford better living conditions and as a result, to experience more satisfaction from life. Which, in turn, may also lead to decreasing of negative social factors like divorce, poverty, political dissatisfaction, and maybe even wars. In any case, even a brief essay on unemployment will let kids or future working professionals understand the importance of seeking relevant employment positions for themselves and study thoroughly to make their education work for them when they manage to obtain their degrees in order to avoid unwanted causes and effects of the absence of a good job. However, writing an unemployment essay might not appear such an easy thing to do for students that have not yet familiarized themselves with essay writing in general. What is the reason for that, you might ask? Well, you know the answer. We’ve all been there. When you are just starting with your professional academic education, it is quite challenging to abide by all of the norms of university formatting while also managing to masterly deliver your viewpoint on the problem that you are writing about. Moreover, when you wonder what is a hook in writing an essay on unemployment, you might encounter the difficulties with understanding this topic, meanwhile also trying to shape and prove the right thesis statement ensuring you get the best grade that you deserve. The thing is that unemployment mostly touches the economy field, which is pretty hard to understand. Moreover, you may also have to cover it from the point of sociology as well as the bunch of other humanitarian and exact sciences. Luckily, you have come across this article, which explains in detail the question of how to write the best essay on unemployment. Stay tuned and read on to know all the intricacies of writing the best ever academic paper on this topic from scratch, even if you know little or nothing in this field. The simple step-by-step technology that we describe here covers all of the most popular and the simplest methods of writing various kinds of academic assignments on unemployment. So, let’s get this show on the road and talk about different types of paper about this topic, and of course, the step by step guide on how to write them! Let’s start with the discussion on how to write an unemployment research paper. First of all, you need to understand why your teacher or professor wants you to write an assignment like this. When doing that, you guarantee that you will get the best possible result and you won’t get lost as a result of frustration like when you don’t know exactly what to do. Because when you lack this understanding, it inevitably leads to lesser grades, and we don’t want it, right? So, by running, for example, an unemployment research, you are encouraged to explore and identify issues that arise when willing workers can’t find gainful employment, or they lose jobs as a result of their employers’ inability to maintain the growing rate of production. Of course, this process affects the economy in general as well as the lives of each and every one of us. Having said that, when you look at this problem analytically while studying it from different points of view, and using various recent data, it allows you to either find solutions to it or encourage other students, activists, scholars, government workers to further this research and propose their solutions as well. So, when you know your topic and the way that you are going to state your thesis statement, it’s time to do the main thing that will drastically affect all your unemployment paper writing. That would be the research itself. However, before starting to collect notes consisting of your future references, you will need to ask yourself a few essential questions to get your research started on the right foot and not get overwhelmed much in the process of writing. Ask yourself: what research has been done on the topic of unemployment and to what extent? Have you posed your title and thesis statement right? Does it offer a new approach; does it propose anything valuable about your current field of research? Do you have your own opinion about what you are writing? Is it relevant to your academic level as well as an occupation? When you know the answers to all of these questions, it’s fair to say that you know where are you moving in terms of your research paper. But don’t you think that you have done with your curiosity yet. Because research papers are all about asking questions, analyzing, seeking answers. The next thing that you want to do is make a list of some relevant to your topic unemployment research questions. Of course, to do that, you need to know something about your subject, that’s why we recommend you to read some professional academic literature in the first place. For gaining the best result, look for scholar articles in scientific journals. It’s also a good idea to read interviews and blog posts of professors that have been largely researching your topic, specifically if they have something to say about your current thesis statement. Books are also one of the main sources of information that you need. Unfortunately, most of the resources online that will appear valuable to you are not for free. You need to pay for them. Nevertheless, those are not very significant amounts of money. But on the other hand, when you need to collect five and more sources, that might be an issue. To find some great references absolutely for free, we recommend to go and seek in the library. Librarians are those great people who can help you a lot with the research and they will show you the exact books and journals that will be surely helpful for you. Another valid source of information for your unemployment problem solution essay is so-called peer-reviewed empirical research. What does this mean? Don’t worry, it’s pretty straightforward. Once you get a grip on this type of research, all the best grades in any discipline are guaranteed for you. What we are talking about are simply books or journal articles written by experts in unemployment field. Mind though, that their works must necessarily be validated by other experts in this field. You can find it both online and in the university library. However, if you are still looking for the unemployment research paper topics, it’s not the best idea to pick the topic while being ruled by the principle “first in - first out”, if you will. What we want to say here is that the most popular topics that are also spread all over the internet when you type in the search engine “sample essay on unemployment”, are simply too researched. This means that you won’t be able to propose here neither some new idea nor your personal viewpoint on the problem because most likely, what you want to say has already been said by someone else, and it can significantly reduce your score. Don’t hurry in the process of looking for your topic. Look for the statement that appeals personally to you, that you feel passionate about. By doing that, you ensure that you will have enough motivation for meeting even the tightest deadlines, that you will surely know what to write about when it comes directly to outlining and writing body paragraphs of the essay. Also, you will write them almost as soon as possible, if you have researched the topic in advance, of course. Similarly, the best research topics on unemployment hide in the most professional sources that naturally, not so many people know about. Scholar journals may also cost you some subscription money, but what you get is even more information that you might potentially need. Having said that, the great idea is to chip in with your peers in order to buy one journal issue that will have enough data and references for all of you. Just don’t forget to maintain the professional attitude to writing this kind of an academic assignment. It means that you shouldn’t claim one statement to be the ultimate truth or another one to be ultimate false. To some extent, you can use this logical structure in persuasive and argumentative essays but for the research paper, you should employ a more scientific and calm tone. Imagine that you are a philosopher that explores the nature of some issue. Rationalize your subject, weigh different data, statistical points of view, arguments, but don’t stick to the only one. The idea of writing a research paper is to look at the problem more closely, to mind all the details and different inflections of it. It can help other scholars, governors, and students in their further research as well as find solutions and making exact steps to solve the problems that you are exploring. Writing an academic essay on unemployment might appear as quite a difficult task as long as unemployment is being viewed by many scholars as an important part contributing to the economic growth of the country. In this regard, it is worth to mention some tips and tricks that will help you shape the clear thesis and follow it with sound reasoning while working on an argumentative essay on unemployment. The common structure of a typical argumentative essay is quite easy to follow because it is well defined through many years of the scholar expertise. It is also widely known as the modes of discourse that consist of a few essential parts. That being, Exposition, Description, Narration, and Argumentation (also known by the abbreviation EDNA). That being said, we can use this classic structure when writing an introduction, body paragraphs, and conclusion. And of course, every sentence of your academic assignment, as well as all of the essay in general, should have a beginning, middle, and relevant ending. The effective linkage between logical argument is also as important because it helps your reader to follow your thoughts. Just like with writing a research paper, working on an unemployment essay outline starts with looking for reference materials, accurate data, other researches materials, etc. that will serve as a valid evidence for your reasoning. When writing an argumentative essay at the end of the semester, it is also required to gather data through performing an empirical research. This means that you are not looking for the evidence in other literary sources but collecting it yourself in real life through doing various interviews, surveys, observations, or experiments. In case of the unemployment issue it sounds like quite an easy thing to do because every adult person has been a working professional unless they are self-employed entrepreneurs. Most likely, the greater percentage of these people have also encountered the problem of a job loss or inability to find the position relevant for their skills regarding working conditions and of course, an adequate remuneration. You might also want to apply one of the logical structures commonly used while writing an argumentative essay. First of all, it might be a binary approach suggesting that you compare two opposing points of view. This structure is probably the oldest and most commonly used by scholars since ancient times. For example, you can write an argumentative essay on employment and unemployment. While exploring this type of subject, you will be required to collect data and relevant evidence both for employment rates within the region that you are going to focus your research on, and unemployment rates in the same territory. Most commonly, you will need to explore the economic side of the situation since unemployment rates are considered to be inversely related to productivity of the economy. Also, this subject inevitably touches the sociological side to the unemployment issue. For example, the absence of appropriate job may increase poverty, criminal encounters, divorces rates, and other negative consequences. Another strategy to apply for writing an argumentative assignment is writing a cause and effect essay on unemployment. This is quite an aged logical structure as well that is so straightforward to use when trying to argue your point of view. However, before establishing the basic relation between causation and consequences line, it is essential to shrink your main thesis statement down to a clear definition of your idea stated in a concise and easy to understand manner. You could be writing for a high school discipline or for much higher academic level aiming your scientific exploration at professionals in your field. However, regardless of what your audience is, your thesis statement should not sound too long or too complex. It would simply mean that you haven’t structured your argument appropriately and you don’t have a clear understanding of it in your mind as well. Instead, try to make it as straightforward as possible. It is also useful to sort your sources and evidence by kind and strength. Then you will be able to use the right reference at the right time. Whenever you are writing a causes and effects of unemployment essay or any other academic assignment on this topic as well, it is crucially important to maintain a rational approach while comparing different reasons that imply the direct link between causes and effects of unemployment. As you might remember from earlier writing courses of the basic university program, there can be a few types of reasoning known since ancient Greece times and its rise of philosophy. That is Ethos, Pathos, and Logos. Consequently, Ethos, being more of an emotional reasoning and Pathos, which relies heavily on the morality side of the problem, are not the main roads to follow when writing a typical argumentative cause and effect of unemployment essay. Because this particular type of an academic assignment should stand upon a solid basis of precisely logical reasoning. You might want to read about common logical structures before shaping the outline and writing body paragraphs of your essay. You can do that just to briefly remind yourself about the ways that you can craft a strong persuasive line throughout the whole paper. In addition to that, you want to stay away from the most widespread logical fallacies that are especially dangerous for those students who only start mastering their craft of writing significant academic works being a milestone of the semester or even the whole discipline that they have been studying for the whole year or more. There is no doubt that processes like researching, gathering evidence, getting familiar with academic norms of writing are remaining important first steps of working on an argumentative or persuasive essay of any given field of study. Nevertheless, it is equally crucial to think carefully about how to claim your thesis statement for a cause and effect essay on unemployment. We recommend everyone not just to pick any statement proposed by the professor or available on the internet. The thing is that your own essay on unemployment should necessarily appear unique and in no way associated with statements proposed by other students or scholars before. Ideally, you are required to address new issues, in other words, a fresh and new point of view on the topic that you are writing about. The thesis statement is the main idea that you want to prove. Keep in mind that general thoughts and wide definitions are not the best way to do this. Instead, aim for narrowing your focus, speaking straight to the point, making the statement clear and concise. You might want to consult your peers or professor to find the best shape for your opinion on the unemployment issue. It is useful to jot down a few versions of the thesis statement that you consider to be the most relevant and then exercise to explain why do you think it’s important. By doing this, you will first of all, automatically come up with a brief draft of the unemployment essay introduction, and second of all, you will most likely be able to pick one of your ideas that has the greatest potential to be proved as well as to propose some new and valid viewpoint. Accurately outlining the essay structure helps a great deal in writing body paragraphs. We recommend to pay much attention to the development of your reasoning particularly on the stage of forming an outline. Because outline is a relatively small, but greatly important part of the whole essay. Basically, it is a plan for the academic paper. Once you have it, you will surely write each paragraph in a breeze. Why? It’s easy. 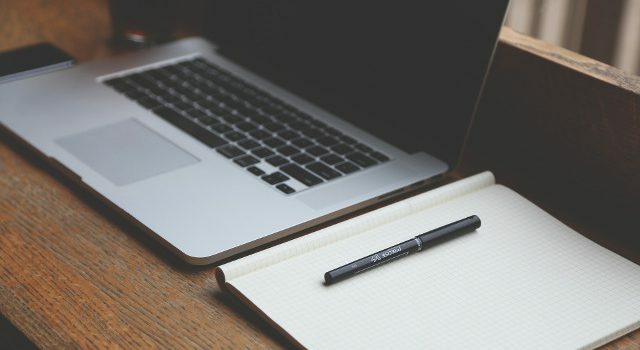 You will know what to write about, and your references will be all there, put in the right sequence in order to prove each claim and eventually, the main thesis statement of the essay. Nevertheless, there is one more important part of every academic essay to think about. We are talking about a conclusion for an essay on unemployment. Some scholars consider this part to be a pinnacle of the whole academic paper. At the final stage, there comes the time to briefly remind all the chain of arguments proved throughout the essay. Don’t make new points at this stage, just remind readers of what they have already found in your paper. By doing so, you let the picture that you’ve been describing for a few or even a dozen pages to come together in the minds of your audience in order for them to have that Eureka moment and to see that you have effectively proven your point. This is quite easy to write down right after you have written body paragraphs. The reason for that is pretty straightforward. When you are writing the unemployment essay conclusion the same day after you have discussed all the major turning points of an argument line proposed by you, it all keeps fresh in your memory and is easy to write as quickly as possible. Since most students, when they come to draw up their conclusion on the day or even a few days after they have written the rest of the essay, they find it necessary to read through the paper to make sure they haven’t forgotten any of the important argument pieces. And that process may waste the precious time that you could spend on other tasks or just for chilling with your friends. And one last thing to work on, when finishing to write your academic essay and precisely, its final part, the conclusion for an unemployment essay, is coming up with a memorable clincher sentence. This catchy phrase is designed to effectively wrap up everything that you have proved before and to encourage your audience to further the discussion of the important question that you have been exploring when proposing your point of view in this particular academic assignment. There is one super useful method for creating this final phrase quick and easy. Simply think of your thesis statement as of already proven fact. Now that you have confidence that what you propose is true, you can state another claim that ideally would open up a whole new way for exploring the issue that you have just talked about. Just like in any good movie or book - the open ending is active, it challenges the reader to continue the discussion and exploration of the current subject. 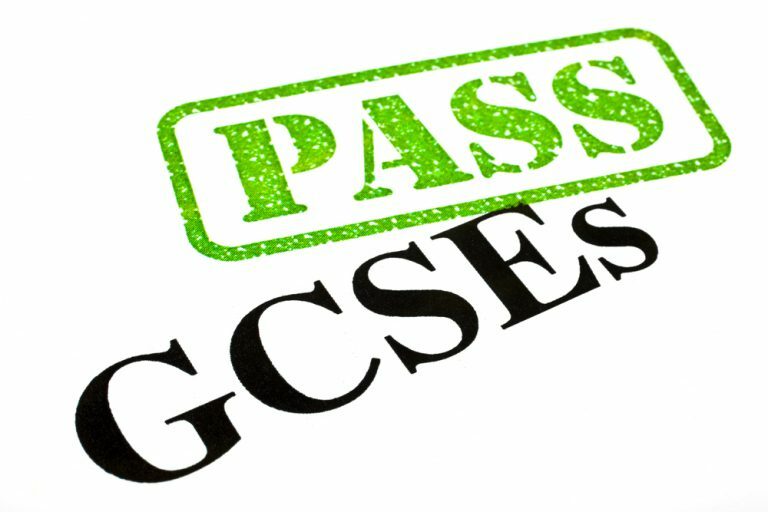 If you are one of those lucky students who has long ago familiarized themselves with the structure of essay writing, proper academic formatting rules, and of course mastered your grammar and continue to strive for perfection, it may be somewhat difficult to find some new fresh topics for writing an essay on unemployment. We’ve been there, too. The difficulty occurs when you encounter so many information among academic journals and literature about unemployment, that it becomes hard to focus on something particular. And as a result, it becomes quite difficult to find some new approach to propose in your academic paper. There are so many topics already explored in this popular field of study that sometimes, especially when you are only starting to explore something about it, you doubt if it’s even possible to propose something new in a scientifically accepted way. We can assure you that thousands of students encounter this problem every day and eventually they write great pieces of academic writing that are even worth mentioning in other sources. Some have their own successful schemes, some - just keep looking. There is no single recipe for a good essay on unemployment. And this is a good thing because that is exactly the reason why you are writing this assignment. It is called to develop your own critical thinking, ability to speak logically, developing your own methods for research. 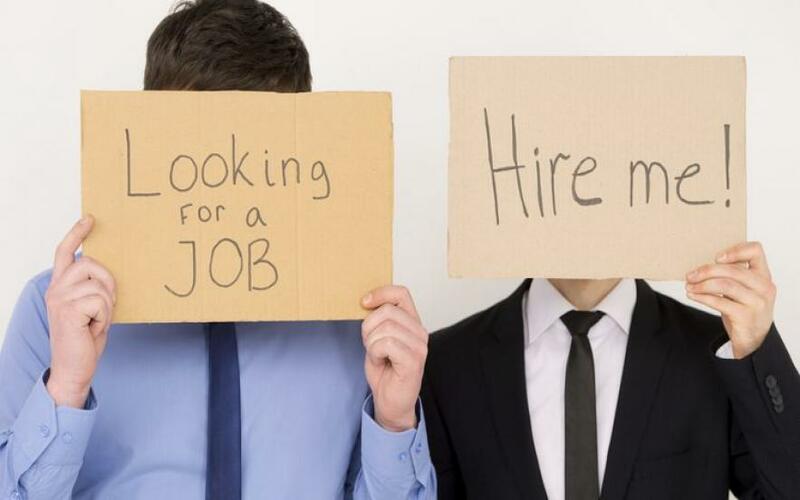 Believe us, this is extremely exciting when you are finding, after carefully examining the field of unemployment, that one unique thought that you can give to help investigate and alleviate this problem. So, from the first look, it might seem that unemployment is a fairly limited subject. So many things have already been proved and it seems like there is not much room for growth and further investigation. However, you just have to keep looking and you will definitely find new and relevant topics that are not that much discussed by other scholars, and where you can propose your revolutionary approach. For example, you could learn about this problem by writing an essay on the impact of unemployment. While cause and effect structure or the comparison of opposing viewpoints might seem too popular and too general to write about, examining particularly the impact of this phenomenon immediately offers multiple issues to address. 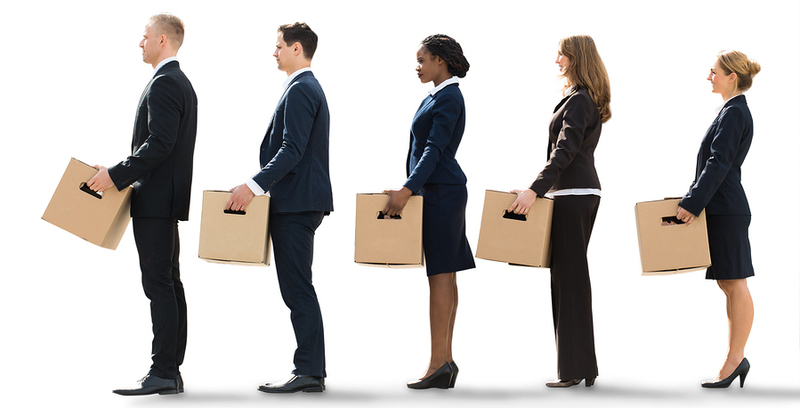 First and foremost, you can study the impact of unemployment on various areas of social or personal life. The sky is the limit here. Tailoring this topic of employment essay writing practically for any discipline is also unbelievably easy. You might look at the long-term effect on electorate and political choices. Study the problem from the viewpoint not only of the classical sciences associated with the studies on unemployment like economy and sociology. You are free to explore the psychology of this problem, philosophy, health issues, and so many more fields of scientific studies, which can offer a new inflection to learning about the impact of unemployment on various areas of our lives. Every new invention in the sphere of exploring the unemployment issue will make a valuable contribution to finding the newest and the most effective ways to reduce this problem. Other similar approaches also open numerous possibilities for learning more about this subject. 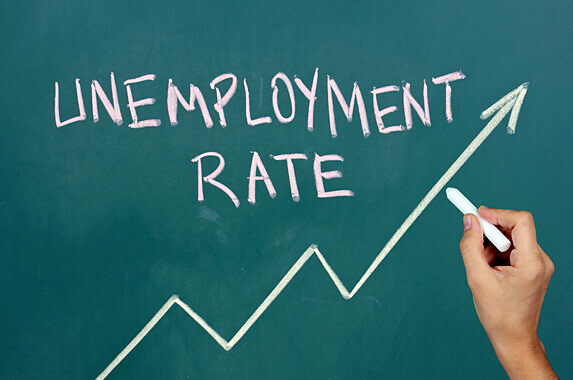 For example, an essay on unemployment and its effects may briefly discuss the general reasoning to increasing or decreasing of the unemployment rates. Similarly, it’s wise to focus your attention solely on one particular region. By doing this, it will be easier to find the direct linkage between economic, social, political, and other reasons that affect either fluctuations or sudden changes in unemployment rates. You might also propose some ways of decreasing this problem that is appropriate for one certain country. In case if you are writing about the country of your origin or your current residence, it makes it even easier to look at unemployment from various points of view and propose effective solutions simply because you know what you are talking about. Also, when you or people you know have experienced unemployment themselves, it would be useful to use this unique data as a part of your empirical research. Collect the data by performing interviews and think of a place where it is the most relevant to insert it as a part of the evidence line. 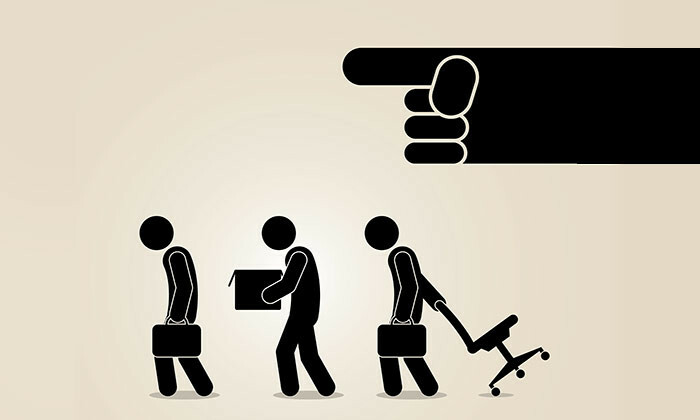 In line with an essay on effects of unemployment that study direct consequences of professionals being unable to find their adequate job positions, another polarity to this issue, precisely the causes of unemployment essay, has also a great potential for further discussion. There is a widely accepted theory that unemployment is being caused mostly by the fact that some region doesn’t keep up with the relevant production of goods and services. As a result, people fail to find a job or even lose jobs that they already have. The highest unemployment rate also typically occurs in the field of mid-level wages. And even if there is a possibility of low-level employment, professionals don’t view it as a gainful opportunity and refuse to work in such conditions. While these theories are nothing new, you might use them to some extent while talking about some particular region. In any case, your academic assignment from such a perspective will appear unique because the unemployment rate varies greatly and they strongly depend on prevailing conditions of economy as well as a bunch of other factors that you are encouraged to study. It’s no surprise that multitude of those factors affect the eventual level of unemployment, rather than some of them apart from each other. If you consider unemployment to be a complex issue where one cause inevitably affects each other, you have all chances to create a thoughtful academic essay worth the highest grade. For instance, an essay on reasons for unemployment might be a great assignment type to deploy the idea of the above-mentioned complexity. First, you might briefly discuss what is the most widely known reasoning for this issue proposed in recent academic literature works. Be attentive when picking up theories to talk about because some of them may appear quite dated or even disproved by other scholars. Apart from the most obvious reasons for unemployment like recession, changes in global markets, job dissatisfaction, it would be great if you find anything newly proposed, especially if they have explored the region that you are writing about. You might want to narrow your focus from global economic issues to something more specific. For example, it is relevant nowadays to study how the rapid changes and development in technology affect unemployment rate, especially among professionals of the middle age and older. Particular societal problems like discrimination have been largely addressed by other scholars but also have some unexplored areas. It is worth to mention here that official unemployment rates aren’t always accurate as long as in many developing countries a tremendous amount of professionals work without being officially employed or signing any working agreements. Writing about particular regions like essays on unemployment in America could appear too complex to cover in the one essay. 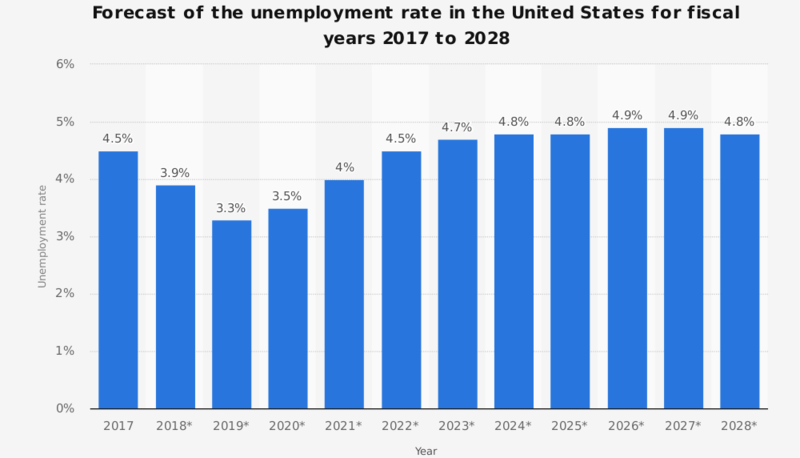 Since unemployment rates may vary a great deal from one state to another, it seems irrelevant to talk about the same reasons for unemployment rates throughout such a big country. Also, the fact that every state has its own applicable law, natural resources, and many other areas of economy differing to a great extent from one another, suggests that it would be valid to explore each state in particular. This simply means that narrowing your research in an academic essay to one state, preferably the one that you live in, may appear more scientifically accurate than just talking about the US unemployment rates in general. Another way to go is to perform an extensive comparison of either two somehow related or two and more various states. It’s also a great idea to compare the situation with one of the countries of the EU, for example. By doing this kind of comparison, you have a chance to study different case studies with various approaches to dealing with unemployment, consequently, various results, effects, and impact. Such an approach might help to propose an effective solution to this problem. Whether you are writing a one-page essay on unemployment or a significant five-paragraph academic study at the end of the semester, there is one field of exploration that we haven’t touched yet. This field is beneficial for a couple of reasons. First and foremost, it has a great potential for examining new sides of it and thus, for you getting the highest grades for newly proposed ideas. Secondly, this field is fairly well-researched, meanwhile it’s not too popular among other students. This suggests that you will surely have enough references and evidence sources to support your argument. You will find them without much effort. Meanwhile, there is a little chance that this topic will be picked by the majority of other students as long as most of them explore unemployment mainly from the economic point of view. That’s when it becomes especially useful for you because you have great opportunities to gain valuable insights that look 100% original and even more, haven’t been proposed by others before. In this regard, you get increased chances for getting A+ without much effort. The secret here is more straightforward than you might have thought at first. In fact, it’s surprising why this approach remains so on the surface and it’s still not widely researched until now. So, whenever you are working on an essay on unemployment and underemployment, look at this issue from a viewpoint of a certain societal group. Think about what problems with employment they may encounter and why? Interestingly enough, these reasons that you will find might appear contradictory and even polarized if looking at various groups of people with greatly different backgrounds. Let’s look at the largest of those groups and see why can’t they find a job. Surprisingly, you will find that their worst situations with employment have very little to do with some of the reasoning provided by renowned scholars in academic literature. Scholars define many types of unemployment as well as many types of poverty. Naturally, these two things are closely related, even though they affect each other disproportionally. So, the main thing to do when you start writing an essay on poverty and unemployment is to sort out the reasoning and connections that you choose to discuss in your essay. You can briefly describe the most common types of poverty that the region you are writing about suffers mostly. That could be, situational poverty for people affected by the recession of 2008. However, in the case of low-developed and developing countries, regions with long-term war conflicts, we often have to talk about types of poverty that are the most difficult to deal with. That would be chronic poverty, absolute poverty, and generational poverty. Unfortunately, the lack of labor demand results in mass poverty which is quite problematic to overcome because of the economic stagnation. This situation can also provoke mass emigration, which doesn’t solve the problem within the country that suffers from poverty whatsoever. In regions like India, such demography factor as overpopulation increases poverty because of the excessive workforce that cannot be employed. Limited knowledge and abilities of people looking for jobs also strongly intertwined with limited possibilities available for them on the local job market. Then again, this interrelation has a direct connection with the lack of local economic growth. This problem, in turn, goes back to poverty as a result of financial inability of masses to get the proper higher education, more and more people find it hard to get a job where they would receive appropriate remuneration that would be enough for raising their children. In the essay on poverty, illiteracy, and unemployment you could look more closely at relations between all these factors as well as propose ways for tackling problems like these. For example, mass opportunities for free education due to modern body of knowledge would produce more highly qualified professionals that would effectively fill in the gaps where employers are constantly demanding for people possessing the most high-end skills. The increased production, in turn, would positively affect the economy, and as a result, conditions of life. Some academics also claim that governmental programs that pay thousands of unemployed people monthly financial help, tend to have the reverse effect increasing the unemployment rates instead of cutting it down. This is a popular topic that is also worth learning about and presenting your own point of view on how to effectively cut down poverty and unemployment. You could also propose either how government should act in situations like this or what can unemployed people do to break free from the low standards of living. A good essay on unemployment and poverty could also explore systematic factors that absolutely need academic thinking to find effective ways of preventing it and reducing it. Think about countries that still experience social inequality, for instance. The huge gap between rich and poor people makes it difficult for the vast majority of the population of such countries to raise their social status. This problem could be discussed from a psychological point of view, economic, sociological and political points. It is also important to mention, which professions tend to have a superb level of workforce and explain the reasons why, in your opinion, local societies can’t seem to turn this inclination around. We recommend you to focus on one societal group for one argumentative essay research and analysis. Pick one group that is familiar to you in order to maintain a positive motivation while working on this essay. That being said, unemployment problem often touches not only lower class but middle class of society as well. On the other hand, poverty and unemployment also have a tendency to occur instantly and unexpectedly whatever is the background of a certain group. For example, as a result of the natural disaster or technological disaster. When writing about such, make sure you provide relevant evidence supporting your claims in a logically subsequent manner. In case if your task is to write a persuasive paper, you can apply more of an emotional approach. This could be an essay on the evils of unemployment. Structurally, it’s almost the same as the effects of unemployment or the impact of unemployment essay where you discuss how this issue affects the lives of individuals from various societal groups or country’s economy. This topic would narrow the topic of discussion only to clearly negative consequences of the lack of labor demand in a certain region. The most common advice here is not to get overwhelmed with emotions. Even a persuasive essay should necessarily adopt clearly logical and straightforward structure also being supported by credible and valid sources. In this case, it’s also crucial to think of targeting at a certain audience and as a result, outline your argumentation line according to the most effective strategy of persuading these people. Another not too popular topic, which is extremely fruitful for performing an extensive research is writing an essay on rural unemployment. This problem is also most common for the developing economies. Because people suffer from low life level in villages and suburbs, they have a tendency for mass moving to big cities searching for a job. This situation creates again, an excessive workforce, which could also be the reason for inadequate wages numbers, the lack of appropriate education, low-quality products and services. You could form the thesis statement in a number of different ways here. It is essential though, to make up your mind, which area of responsibility you want to explore. It could be the causes and effects of political decisions, or maybe you could examine why these people don’t make their living better in small towns and villages. What factors stop them? Does this inability to organize education, business, farming in those locations have sound economic and financial reasons that are indeed impossible to overcome or are we dealing with the lack of desire to be responsible for the better future (in this case we view it as a purely generational psychological tendency that touches each individual raised in a rural environment of a certain region). Anyhow, if you feel comfortable, you can explain complex reasoning like close relations between cultural approach and economic consequences strongly related to it. However, if mixing various fields of study feels too difficult to put together, you should better dig deeper into exact economic issues that cause rural poverty, for example. The local applicable law, especially its flaws regarding rural development, business support, and education opportunities, also seamlessly connects with the reasoning of the economic field. However, not only the lack of higher education and rural poverty leads to the unemployment problem. Another interesting area for your research in this field could be writing an essay on unemployment among graduates. Developed countries often cannot offer permanent positions for an excessive number of college graduates, both local residents and international students that create enormous competition for permanent positions in their chosen fields of study. One great example of such a situation is the US economic recession of 2007-2008 when the employment rate of candidates with bachelor degree suddenly dropped to as low as 9%. Unfortunately, the aspirations of young professionals often do not correlate with opportunities that are available on the job market. In an essay about graduates’ unemployment, you could either explore causes and effects of this phenomenon or discuss the background and tendencies of this problem and then move straight to proposing the ways that could alleviate an increasing number of unemployed graduates. Try to think creatively - how can they adapt to the changing economic conditions and demands? What opportunities are still underestimated by young professionals? Is it profitable to switch to the entrepreneurship in various new fields? While exploring relevant sources for the essay on educated unemployment, you can find solutions that might be helpful in the future, so that after college you won’t find yourself lost in a huge talent market. In this regard, it is also valid to explore the reasons and tendencies of underemployment and unemployment among particular fields of study. For example, one of the recent American surveys showed that some of the highest unemployment rates were among Philosophy (6.2%) as well as the English Language (6.4%) Mass Media (7.4%) graduates. On the other hand, the lowest unemployment rates were fixed in the fields of Industrial Engineering (1.7%) and Medical Technicians (0.9%). As we can clearly see here, statistics data shows some very interesting tendencies. While the most popular degrees like Philosophy, English, and Mass Media generate massive labor force that cannot be supplied by the relevant number of jobs, strictly technical and engineering professional still experience a high demand. However, data shows only facts. Conclusions and ideas based on this information are up to you. Make sure that while writing an academic essay on this topic you show the best of your critical thinking and logical reasoning.